March Madness Pop-A-Shot Tournament – Castle Island Brewing Co.
March Madness is here! Come to Pinz Kingston and join our team to face off against some of our favorite breweries! 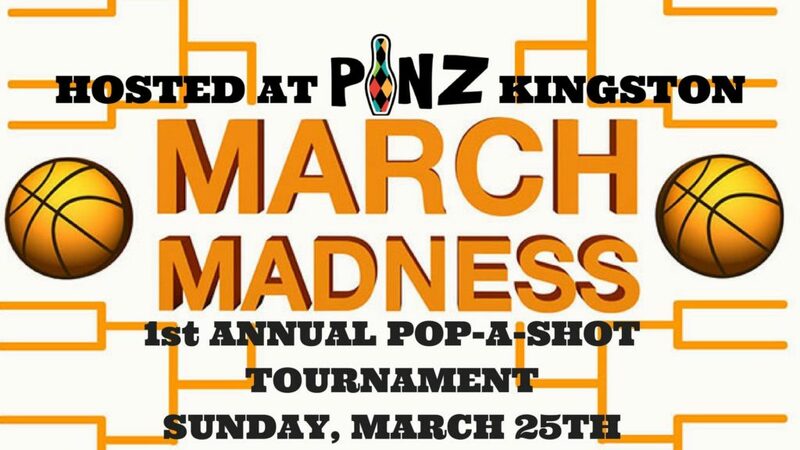 Come and compete at the 1st Annual Pop-A-Shot Tournament at PiNZ Kingston. Pre-Register for your spot on the 64-player bracket, broken down into 4 regions (or in this case breweries) – Long Trail, Castle Island, Devils Purse and Shipyard. Each player will receive a t-shirt to represent their respective brewery.